» small AC-DC switch-mode supplies: are they bread-boardable? small AC-DC switch-mode supplies: are they bread-boardable? I'm trying to get all the kinks out of a small 250 mA 5V switch-mode supply that uses an LNK306. maybe about 2.5 kHz on the output at load. responsible for what I'm seeing. 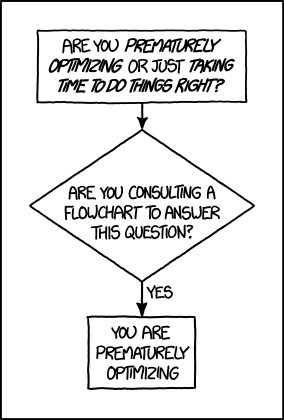 Depends on your breadboarding style. For anything that's going to need lot of ground on the finished PCB I use 'dead bug' style prototypes over a blank copper-clad board. Even though your circuit has got lethal volts floating around it's still possible. One drill, if you don;t know it, is to use a dremel to cut isolation routes through the copper to make 'tracks'. For right-side-up BusBoard is one way. Edit: typo, added 2nd URL. I breadboarded a "black regulator" from Roman Black's site: http://www.romanblack.com/smps/s... It only had 10 or 12 volts, nothing frightful. Made of junk box parts with values only in the ballpark or what he recommended, the silly thing worked. Even fairly well as I changed loads and input voltages. Not only is circuit layout critical but also the choice of components. I'd suggest that the usual plugin style breadboard is not a good choice. The output loop (switcher-diode-coil-caps) is the big source of noise. Any pulsed current running around a loop becomes an AM antenna, the larger the loop area or current, the worse the noise. Keep all wires be short and close together. You may "emulate" a ground plane with twisted pair wire on all critical lines, with one wire to the common board GND. for high impedance lines like the feedback loop, you can use shielded wire instead. The output GND return works like the 'sewer' of the circuit. It carries the ripple back to the switcher IC, so the entire loop must have the lowest impedance possible, otherwise the ripple will go to the output. Use thicker, shorter wire from diode and caps to switcher IC to reduce impedance. Caps must be of low-ESR type, and hopefully two of half the calculated value in parallel. I myself gave up on that after experiencing some of what has been posted above. Newark element14 has some nice small switching regulators that are in many cases drop in replacements for the 78xx series linear regulators. THey have others that are also on ready made pc boards that you can solder lead wires to and then snap into breadboards and the like. THey have others that are also on ready made pc boards that you can solder lead wires to and then snap into breadboards and the like. Though that model is not in-stock maybe a similar model by that make is in-stock. That's because what happens during the switching transients is very important to a switch-mode power supply! It's in those transients that "parasitic" and "stray" L, C, and R become significant and have to be managed well. Solderless breadboards are not good for that! breadboard effects could be responsible for what I'm seeing. I think that must be at least a possibility. It's worth noting that the OP isn't talking about DC-DC converters or regulators. He's developing an AC mains to DC non-isolated converter. Any breadboard or technique will need to work with those sorts of voltages. But just using them is an entirely different matter from trying to breadboard the internals of a SMPS - isn't it?! Competitors to Power Integrations (PI) are Monolithic Power Systems (MPS) and ON Semiconductor; many others but I don't recall the marks. PI LinkSwitch-TN, MPS EasyPower (was). An MPS evaluation board is one layer, SMT parts on the bottom, thru-hole parts on top. Simple PCB; might mount it on or near the breadboard. ... where isolation from the AC mains is not required. Gerber ZIP file exists but did not view it. Edit: added ON, URL for ON EVB. What is LNK306? What kind of a component is this? Where it has the applications? How it is generating noise in your circuit? As you are saying about the design problem of PCB then i am agree with the others that the bad PCB designing causes the noise in the circuits. So you must go for the good PCB design and manufacturing. I have built small appliance controllers with the LNK for the power supply, it is NOT something I would suggest for a beginner to use, as it is meant to be used in NON-isolated AC / DC supplies, these are very dangerous for someone who does not know what they are doing or provides the proper shielding and protection. These do not lend themselves to breadboarding! Stick to using common isolated AD/DC supplies for your breadboard circuits. For breadboarding switch mode power supplies, I start with the provided "suggested layout" and a piece of unetched (copper clad) circuit board material. I take a good, stout knife and simply cut away not needed copper. Then, holes are drilled where necessary, and parts are soldered. Yes, as far as noise is concerned, layout IS important. But, several other things are, also. These include having correct capacitors (with sufficiently low ESR and proper value), correct inductors (low enough series resistance and high enough saturation current and proper value), and correct diodes (fast enough turn-off, sufficient reverse breakdown voltage, and high enough current rating combined with low enough forward voltage at that current).